LOVE TO GARDEN? But, can’t bend or stoop? Portable Farms® has a solution! 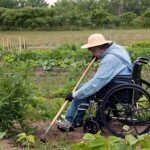 Until now, ‘dirt gardens’ have not been an option for those with ambulatory disabilities because of their difficulty reaching down to the ground dig in the dirt to plant or weed their garden for long periods of time. 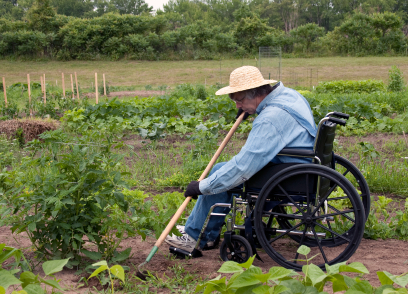 For those using wheelchairs or for those unable to kneel for great lengths of time, gardening has been out of reach for them. But wait! We have a solution for all those with an ambulatory disability who love to garden that will satisfy their desire to plant, nurture and grow their own food: AQUAPONICS in a Portable Farms® Aquaponics System! 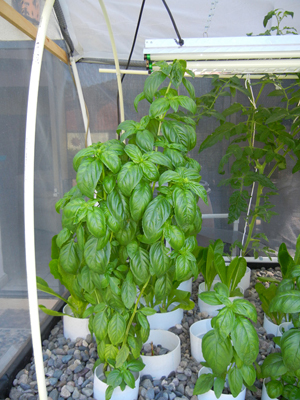 One of the unsung advantages of aquaponics is the minimal care required in Portable Farms®! A Portable Farm requires only minutes of care per day to feed the fish, plant, care for, or harvest the plants in the waist-high grow trays. Plus, these grow trays can be designed specifically for those ambulatory disabilities. The height of the grow trays can be adjusted up or down to accommodate wheelchairs, those with braces, those using crutches and other disabilities. The aisle width can be modified, usually made slightly wider to accommodate those needing more space between the grow trays. There are some instances where the food output or production from the installation is a secondary, albeit important, consideration. The extremely high therapeutic value of the greenhouse/growing environment is such that having the opportunity to be in such space and (this is extremely important) being able to contribute to the person’s own food supply is of immense value. To be able to contribute to one’s own needs and raising food are two of the most powerful driving (innate) forces in most humans. PFAS LLC has designed our installations to accommodate most standard wheelchairs and have made the table legs on the grow trays adjustable to best fit those so confined. The width of the grow trays is also a consideration and can easily be adjusted in the building phase. 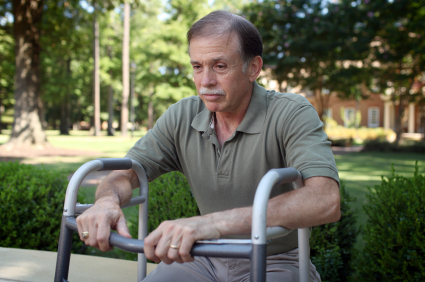 When a client requests an installation be made for those with ambulatory disabilities, very little modification is required from the standard model to accomplish this change. Those in retirement centers, veterans centers, rehabilitation facilities, long-term care centers can all benefit from a Portable Farms® Aquaponics Systems installation on their premises. The installation can be ‘free standing’ or used as an addition to an existing structure. The flexibility in positioning the building is another advantage of the Portable Farms® installations. For those who have difficulty reaching the ground to perform repetitive tasks, having a grow tray at waist height that can be reached across, from both sides to the middle, with the opportunity to grow the plants of their choice all adds to the joy of planting, growing and harvesting the best tasting produce they have had in decades. 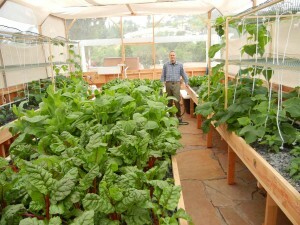 Aquaponics is the gift that keeps on giving. The interior space of a Portable Farm itself is soothing, quiet, comforting and very easy to keep clean. The standard maintenance routines require minimal time and easily carried out either under a standard services contract or by a trained staff member. The added benefit is the locally grown produce is raised with minimal care and can be consumed by the facility. Everyone in the facility will benefit. Even a backyard installation adds immeasurably to a person’s life and well being. 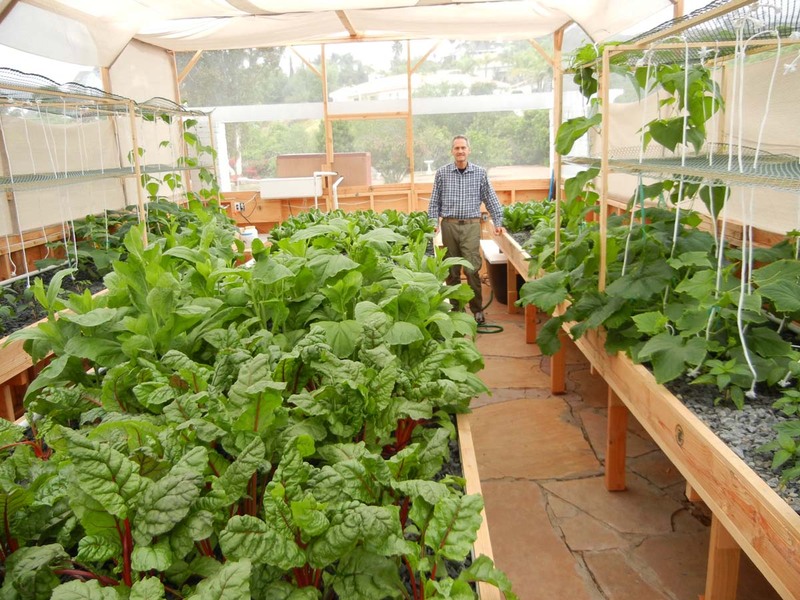 With the increasing cost of food and the growing concern about the climate change, one of the answers is aquaponics and now even those with ambulatory disabilities can contribute to removing some of the pressure and lowering the carbon footprint of their existence. I am working with Ohioans with disabilities and considering Aquaponics as a career. Please if you have any information you think can help contact Me.